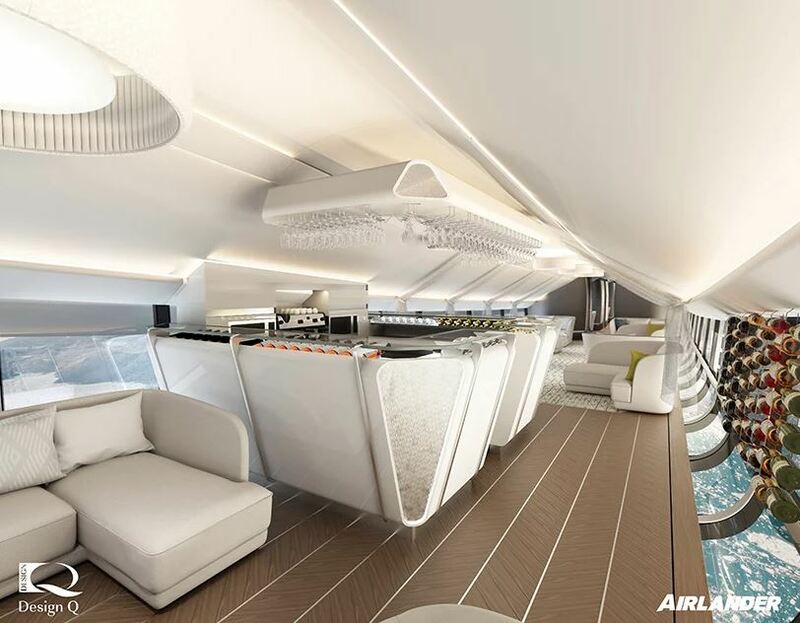 It might be another few years before the world’s largest aircraft is fully ready to take on passengers on memorable expeditions, but when it does happen, it will be the most stylish, exquisite experience ever. 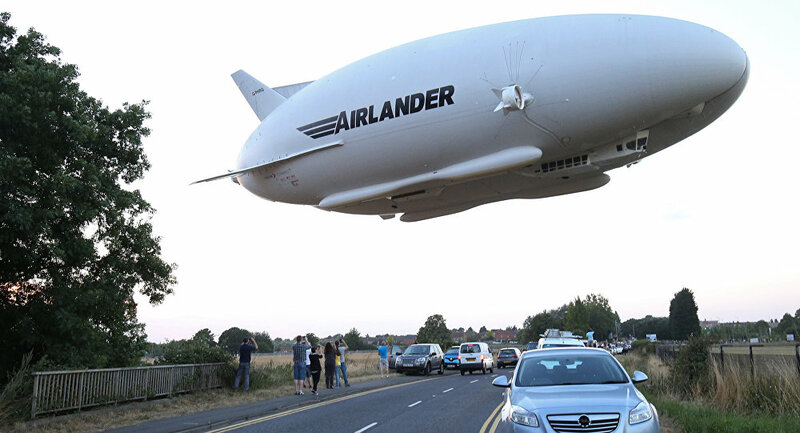 Again, that day may be far away, because Airlander 10 must first complete 200 hours of incident-free flight before it’s pronounced flight-ready. 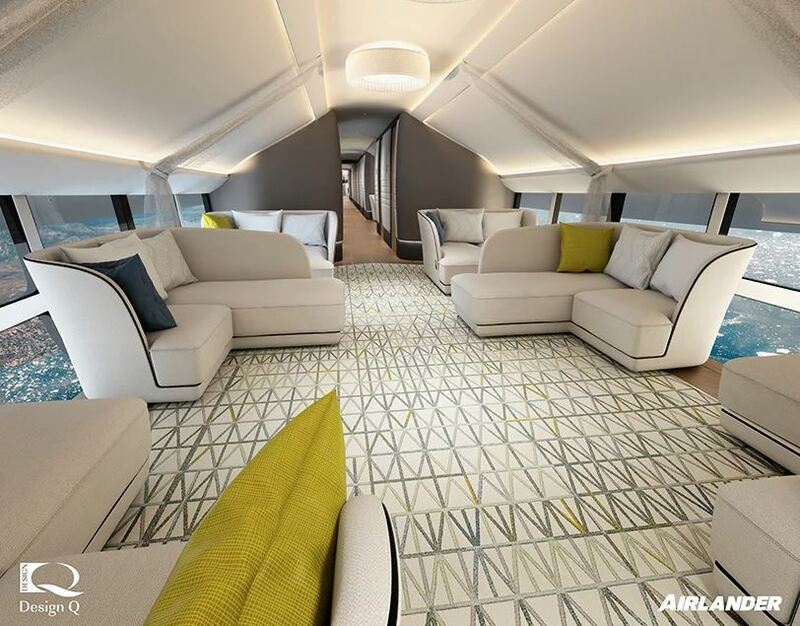 The redesign has been unveiled at the Farnborough Air Show, as part of the “Rethink the Skies” campaign. It’s nothing short of breathtaking. 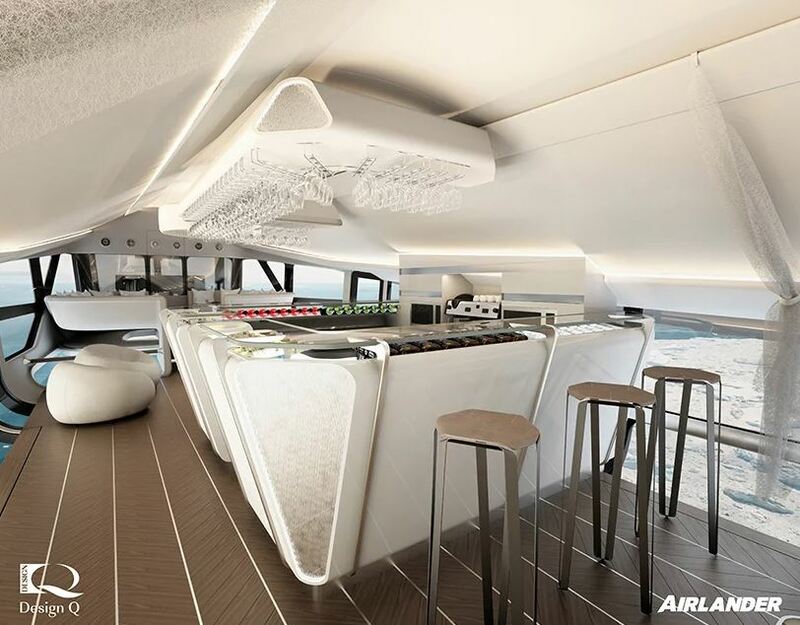 Aside from the usual luxury items you’d expect from a luxury passenger cabin (fine dining, a complete bar, plush furniture and bedrooms worthy of a 5-star hotel), the interior stands out for being mostly made of glass. 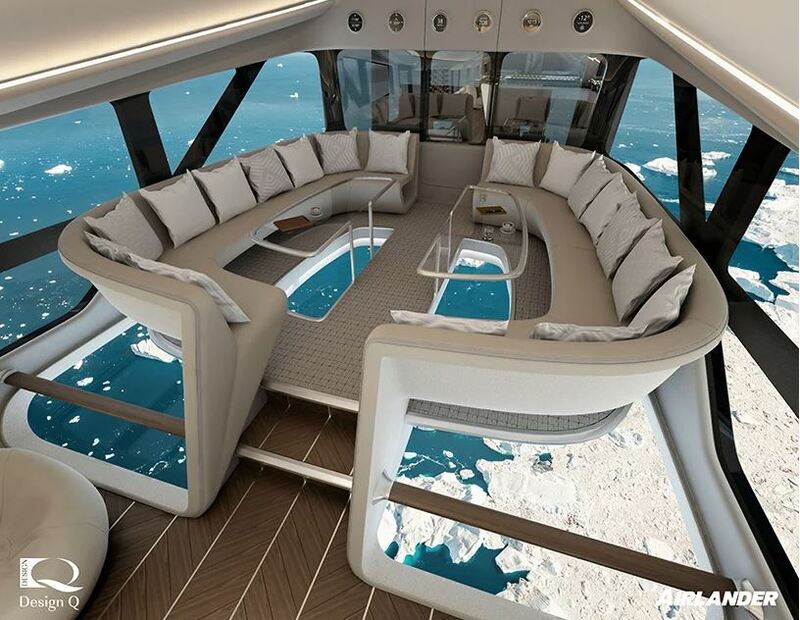 You get glass on the sides and glass on the floor, which will allow the passengers to really take in the views from the 16,000 feet of height Airlander 10 can reach. 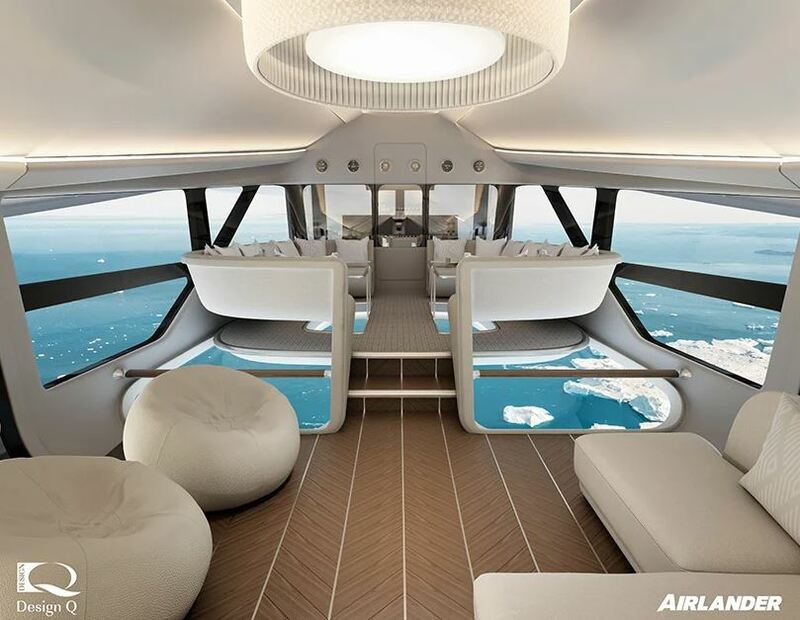 Considering this aircraft isn’t built for speed, reaching a maximum of 92mph, you will have both the time and the opportunity to enjoy the views. 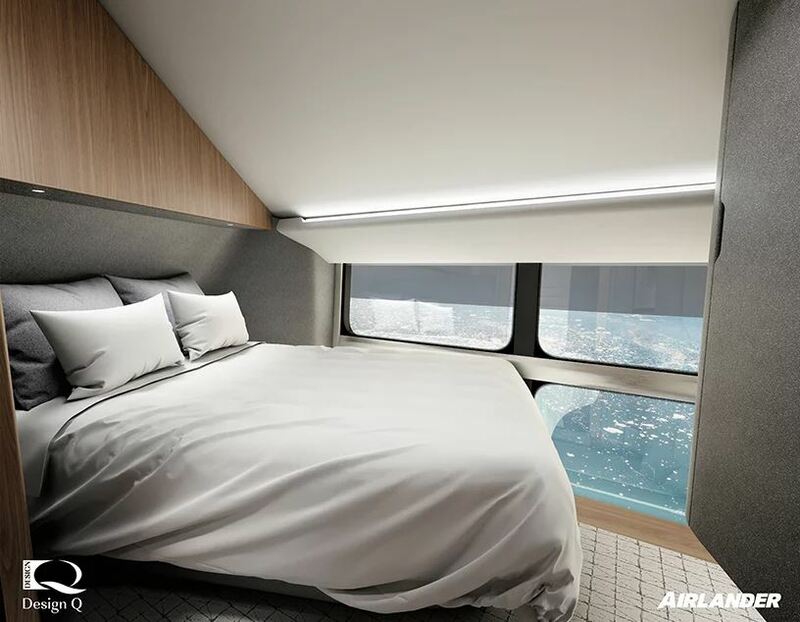 HAV says that Airlander 10 will be able to carry 19 passengers and crew on 3-day expeditions, fully catered, so its purpose is tourist-oriented. Airlander 10 is able to take off and land on any surface, even water, which makes ideal for expeditions in the Amazonian forest or in the Grand Canyon. 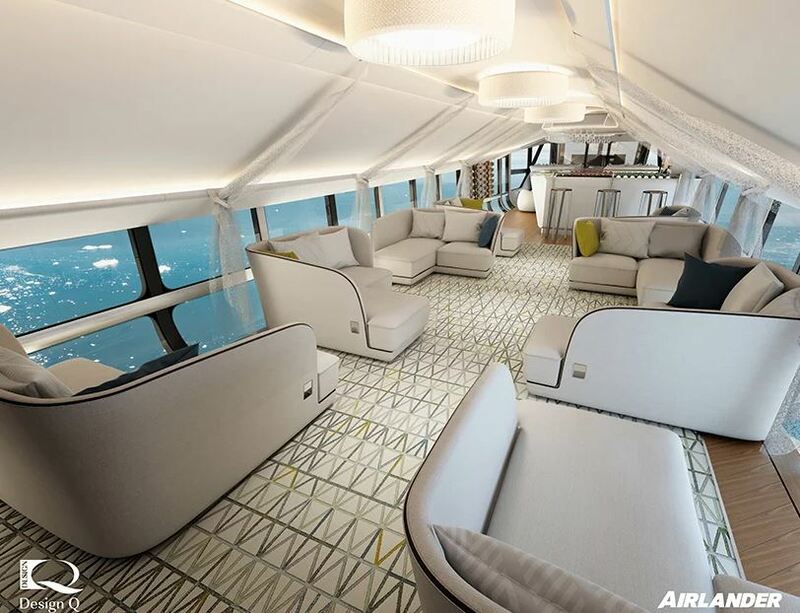 It was built in 2012 and is also known under the nickname “The Flying Bum” because of its shape, and was used by the military before the decision to turn it into a passenger cabin.